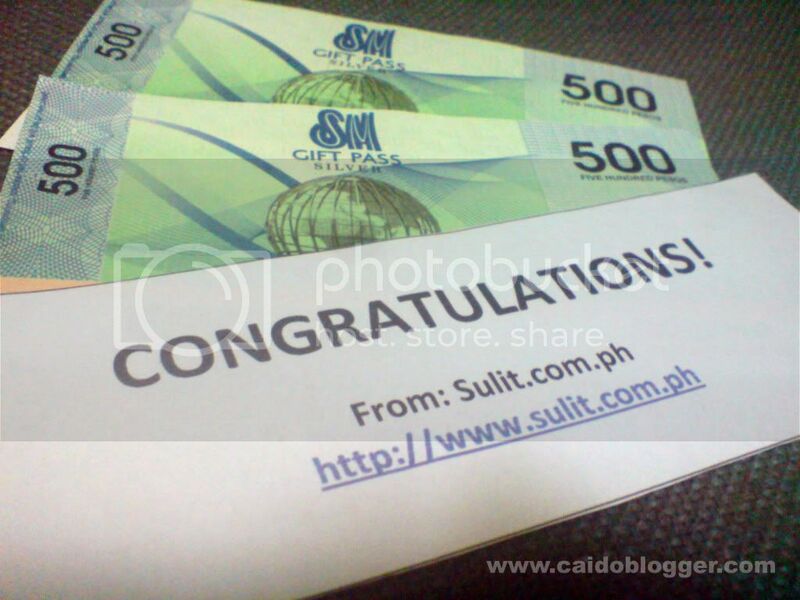 I have joined Sulit.com.ph's 1M Members Raffle Giveaway and luckily, I am one of the winners of P1000 worth gift certificates during the first weekly draw last May 10, 2011. Just last Friday, I have received my prize delivered through LBC! Even though, I didn't win that iPad 2 or the Blackberry Curve, I'm still happy! ^_____^ Big, big thanks to Sulit.com.ph! Congrats to all other winners!